Overwatch is one of the games that I'm currently addicted to. A huge part of this is because yes, the core mechanics are sharp, fun and all work extremely well together, but it's the colourful and diverse cast of characters that are the heart and soul of it all. It would not be the same without any of them and I want to tell you, dear reader, who are my most favourite characters to play as, based on a mixture of abilities, role to the team and personality. The guy who you play in the tutorial, (if you've never played a single first-person shooter before-level) the first hero I played as is the most helpful character to play when getting to grips with how the game modes work and when learning about what other heroes do. 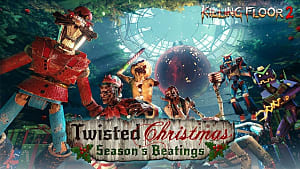 His assault rifle packs a strong and easy punch against the enemy and it is the most familiar weapon to use as it plays like any standard gun in any other shooter. He also has helix rockets for extra damage to finish off enemies and to help take down the stronger heroes. 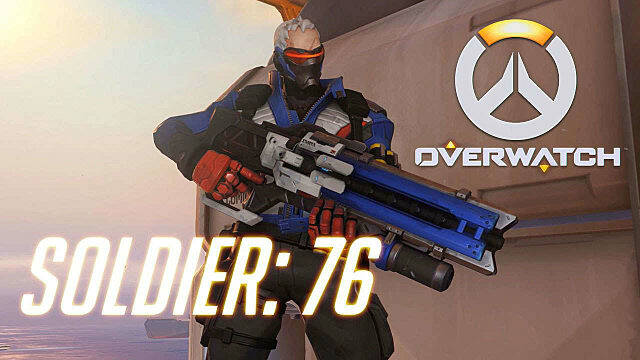 Soldier: 76 is a self-sustaining hero with his healing ability, quickly healing himself and others around him. He is an easy hero to use but he also a very effective one for beginners and adepts alike. 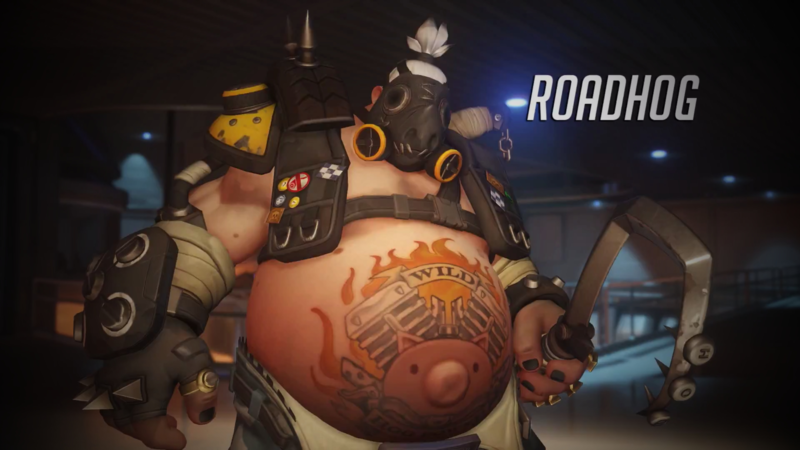 The 'One-man apocalypse' himself, Roadhog is both an efficient and annoying tank hero to have and to face. Another self-sustaining character but arguably more deadly, he is a tank that isn't so much about protecting ally heroes but more about charging forward and eliminating the enemy before they have a chance to kill your team. His hook ability is great to use if you're playing him, but is frustrating if you get targeted by it, as it can halt an enemy whilst their using their abilities and it's possible to land a quick one-shot kill straight after. I played him recently in the map Route 66 and 3 times in a row I was lucky enough to interrupt the enemy Genji 3 times in a row with his hook and quickly kill him. His other ability allows him to heal a chunk of his health, this also has a surprisingly fast cooldown as well. It is because of this reason you will most likely see a Roadhog in every match for being so deadly efficient. 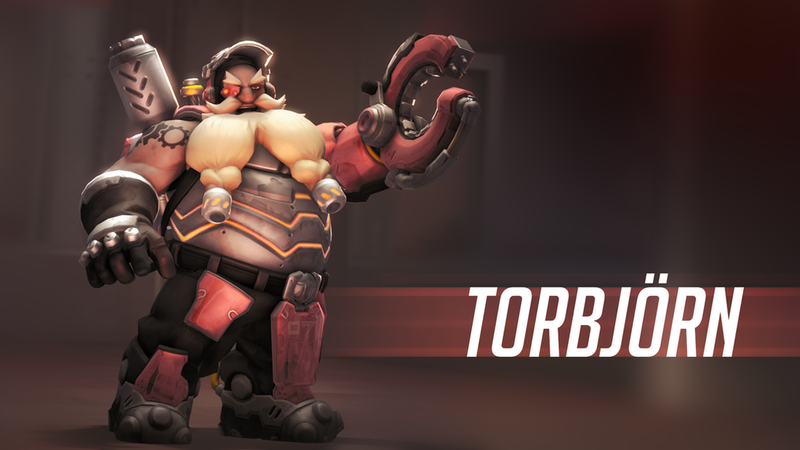 Torbjorn is one of two heroes that is arguably, solely for defence modes unlike other heroes in the defence category. This is due to his main role as setting up his turret in a position to easily pick off enemies and defend areas. It's because of this ability that makes him much less efficient in attacking situations. However saying this, he is very fun to play and can sometimes be necessary to have on your team due to him being able to defend points with his turret but also create armour packs for your allies. His gun is more deadly up close compared with at distance however having to modes is helpful nonetheless. It's always nice to see multiple elimination notifications pop up from a well placed turret. The teams guardian angel, Mercy is the easiest healer to use but that doesn't mean she is only good for new players. Her Caduceus Staff is heavily proficient in supporting your team, able to quickly restore huge amounts of health but also able to increase the amount of damage an ally can do. Because of her being the most support focused hero, it is more difficult to rack up a decent amount of kills unless you're an expert with her. 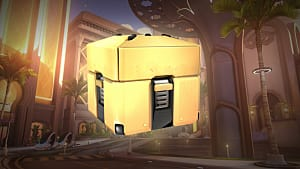 But you'll find there will always be someone needing healing so you will be literally flying across the map, (due to one of her abilities) healing everyone. Mercy makes you feel like you are the most important person on your team due to the amount of healing you will do. Her resurrection ultimate is the most tide-turning ability in the game potentially resurrecting the entire team and winning the match. Because of this, it is highly likely you will be voted for at the end of the game in the cards screen. Reaper has some of the highest damage in the game, provided you're up close and personal with his shotguns. He is better at some maps than others, but because of his high attack, he can take out enemy tanks quickly and efficiently. What makes him even better is that he can consume the souls of dead enemies to heal himself. So if you are on the front lines taking out multiple heroes, he is able to constantly sustain his own health. Reaper is also perfect at flanking the enemy team since he can teleport a distance away and get in close behind to take them out. His ultimate 'death blossom' is perfect for eliminating a whole group at close range but is a target for snipers and other distance shooters, so it is important like with any ultimate to use it at the right time. 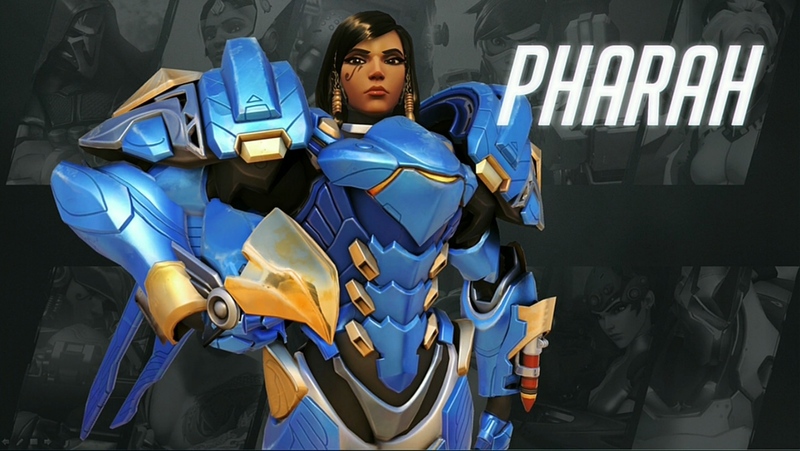 Pharah is one of those heroes that potentially can be very effective against the enemy but in the wrong hands can just be a liability due to her vulnerability in the skies. Because of her flying skill and rocket launcher, it allows her to get around behind the other team and help pick off enemy healers and other lower health heroes with ease. It's also extremely satisfying to be able to fly around the map taking out enemies from above. 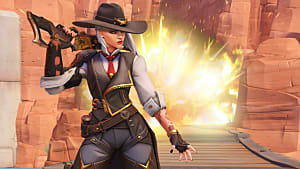 Like I said before though, if the other team has a Widowmaker, Soldier or Mcree, you'll find yourself getting killed pretty easily, so drop to the ground if you start getting shot at so you can dodge it. 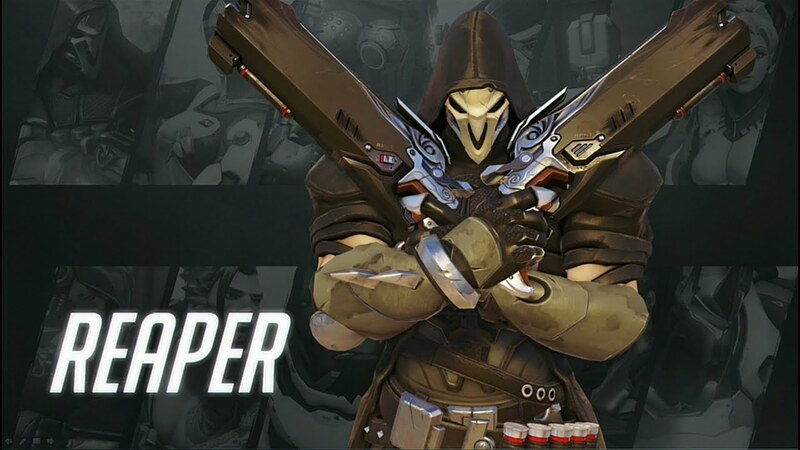 However, like Reaper her ultimate can obliterate the enemy team but it leaves her vulnerable, so it is best to use it when flanking them. Junkrat isn't that widely popular and it isn't common to see him on most games, however, although he is much better at defence as is his role, he is still surprisingly useful on attack maps. His primary attack, the bouncing bombs are great at shooting out into a group as you don't necessarily need to aim them to make contact and deal heavy damage. Also if you need to deal a burst of damage against a quick hero such as tracer who doesn't have a lot of health, chucking out a remote mine and triggering it immediately can likely kill the enemy. His bear trap is perfect at defending a side route, as even if you aren't there at the spot, it will notify you to their presence even when it is destroyed and allow you to hold off the other team at that position. His 'Riptire' ultimate is deadly but it can easily be destroyed before it deals any damage. 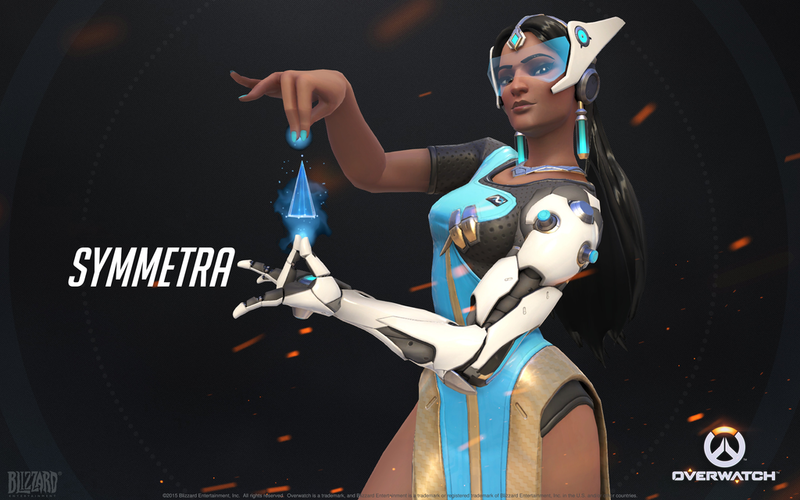 Symmetra is the other hero alongside Torbjorn that are mostly useful at defence rather than attack. Her main ability, the six sentry turrets are perfect and defending a variety of flanking routes from the enemy. Although on there own they might not be able to take out enemies, but they help slowly deal damage for allies to finish off, granting an elimination still. They are also useful at telling you when and where the other team is coming from as you can see when your turrets are making contact. Her weapon is also effective at close range as you only need to aim in the general direction for it to lock on and deal damage. Since this gets stronger the longer you have it activated, it makes it perfect at getting double and triple kills in groups. The ranged attack is not very useful as the orb is slow and easy to dodge, however if you take the enemy unawares you can manage to get kills. Plus it is able to pass through shields and barriers, which is perfect against a Reinhardt or Orisa. Her teleporter and shield generator are useful for both attack and defence since you can regroup fallen allies at a point quickly or boost your allies defences with added shields. Just make sure they are placed in a hidden or easily defendable position. 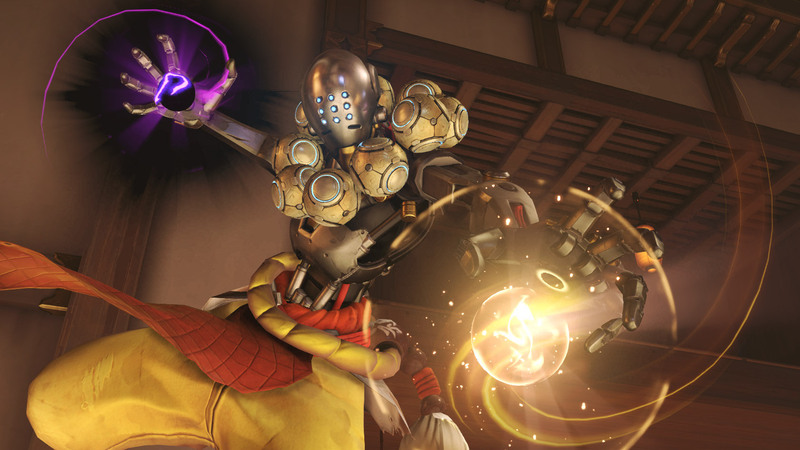 Zenyatta is arguably one of the most useful support heros to have in a team, since he is flexible as a healing support, debuffing enemies and as a surprisingly proficient attack hero from mid range. He may not have the best healing, however it can work from a good distance so you don't need to be right next to a damaged ally. 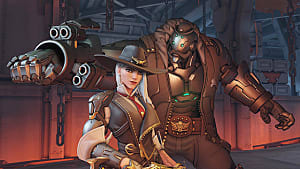 His debuffing skill is better than Mercy's I find as it makes an enemy hero more vulnerable to damage and does not rely on a single ally hero, plus you don't need to hold a button down, you are able to send a discord orb out and still heal and attack the other team. 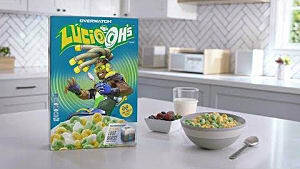 His only drawback is that he is slow at moving, making him an easy target for a Genji or Tracer. His 'Transcendence' ultimate can drastically heal all allies around and is invulnerable to all damage, including other ultimates making a great counter to Zarya and in other tight situations. 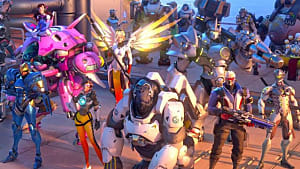 This list is my personal favourite Overwatch heroes to play and who I find most useful and fun. I could write a list on why every hero is useful but these are who I think do it better than the rest. 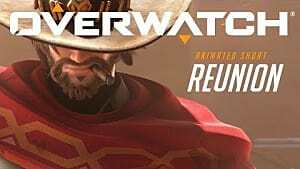 This is the thing with Overwatch, every single character is incredible and unique which makes it stand out to other games in the genre. 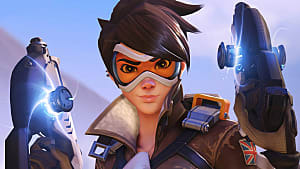 Who are your favourite Overwatch heroes and why, let me know in the comments and thanks for reading.